This means the asteroid is flying through space at breakneck speeds nearly 38-times the speed of sound. 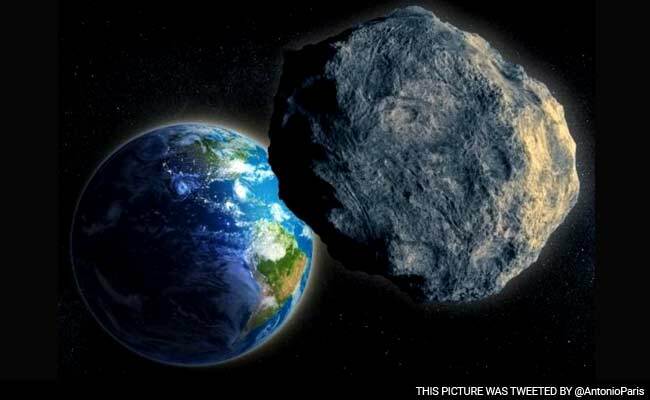 But even as this happens, Earth can rest assured the space rock will not slam into the planet at full speed.NASA’s JPL scientists estimate Asteroid CB2 will near-miss the Earth by almost 650,000 miles (1.04 million miles). 650k mile or 1.04 million miles? Which one? 1.04 million kilometers = 650,000 miles. I'm more concerned about the clickbait link that could cause some people to go into cardiac arrest or commit suicide. So it's not "headed for Earth", is it? It's heading in the general direction, but will miss up by a distance equal to four times the distance of the Earth to the Moon. Is that what you meant?